Love Your Tent is a sustainable and environmentally driven festival camping initiative, running bespoke camping at festivals in the UK and Europe. Love Your Tent and Respect camping initiatives are run by Eco Action Partnership. When you book camping with us we collect your personal data so we that provide the service you have booked. It means we can allocate the best pitch for you and update you with any information that you may need to prepare for your camping experience. We also use your data to check you in when you arrive on site. We may also follow up after the event to check everything went well or provide any important post event information. If you would like to hear more about future events or stay in touch with our campaigns, we ask you to please give us your consent to send marketing emails. 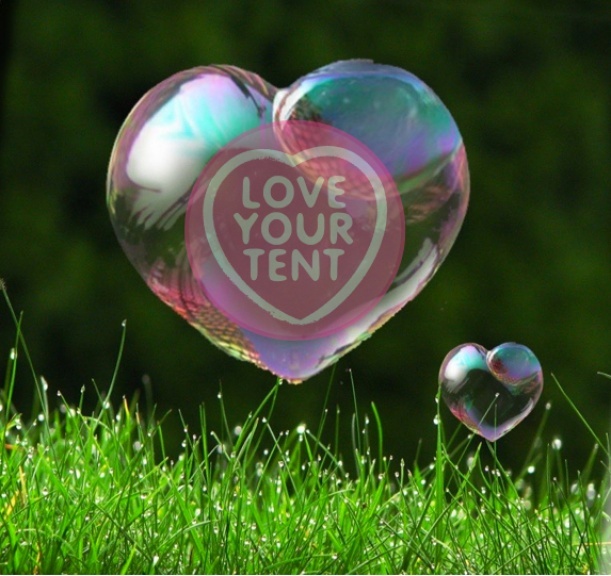 Alternatively you can follow us on social media LoveYourTent (facebook); @loveyourtent (Twitter); LOVE_YOUR_TENT (Instagram) where you can keep much more up to date with current and future events. We collect your data through our third party ticket bookers http://www.theticketsellers.co.uk (please see their website for information on how they control and process your data) when you book an event with us. When you book an event with us we are the ‘data controller’. Information from your payment details is not shared with us. We may also record any information you provide such as age of children, or special camping requirements, to ensure we can provide you with the best festival camping experience possible. This information is not shared with ticket sellers. We do not collect information on children except age and number in the group. We do not accept bookings for anyone under the age of 18 unless accompanied by an adult. We will never pass on or sell your data to third parties. Your data will be kept securely by our third party providers: tickersellers for event management and Mailchimp for email distribution. For logistical purposes such as allocating your pitch and checking you into the campsite, we store your personal information securely in our systems. We password protect all our files and computers and ensure limited information is shared on our check-in desks. We will keep your information for three years to make it easy for you to rebook next year and help us improve your experience. Under the General Data Protection Regulations you have various rights in respect to the personal information we hold about you. If you wish to exercise any of these rights or make a complaint, you can do so by contacting us at the address above.